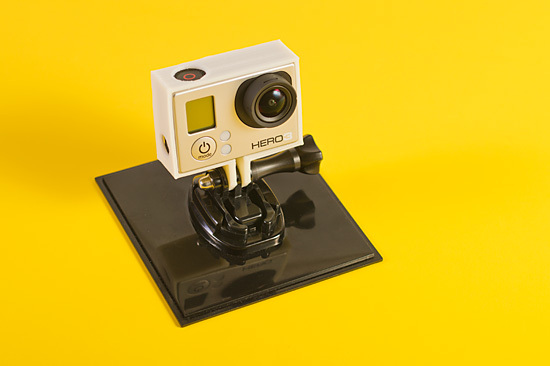 I like the acrylic housing that comes with the GoPro Hero3, but I tend to run some pretty long time lapses, and the battery doesn’t last long enough, so I made a lightweight frame, and it’s over on Thingiverse. 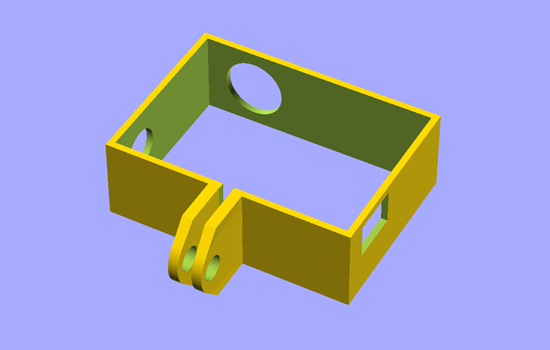 I’m (slowly) getting better at OpenSCAD, thanks to projects like this. I’m sure I’ll get even better in 2013. I’ve got plenty of long USB cables and USB power supplies, as well as a Minty Boost from Adafruit to provide power for shooting hours and days at a time. Here’s a quick time-lapse test I shot before I had the frame. 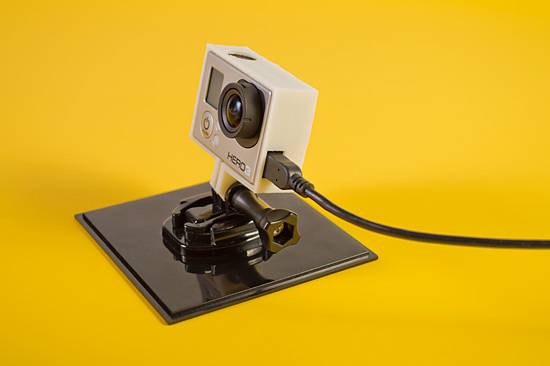 I ended up balancing the GoPro on a book on top of two water bottles, which was silly, and just one more reason for this thing. The frame has a bit of flex to it so you can easily wrap it around the camera. I may play around with some thicker housings, but for now, it does the job. I ended up printing about 6 versions before I got one that was good. I should probably do more paper prototyping, but with how easy it is to 3D print things, sometimes you just hit “print” and hope for the best. If it doesn’t work out, you tweak things and try again. It’s just the way it works. Posted on Monday, December 31st, 2012 at 2:41 pm. Subscribe to the comments feed. Both comments and pings are currently closed. Post on your own blog. 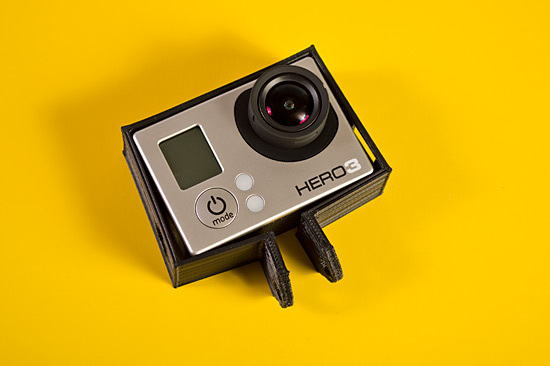 Hmmm interesting, It would cost me 45 euro’s to by the gopro version while I could print it at my university for less then 10 euro’s and I Could probably make one with solidworks quite close to the gopro version. Didn’t think about this option, Thanks mate..
Looks really good. But what is it made out of? And how exactly are the corners joint? Gordon, I 3D printed it using ABS plastic. The corners don’t have any special joint feature, it’s all printed. The frame looks awesome, why go out and spend a lot of money on something when you can just make it yourself right? Plus if you make it yourself you can tweak and customize it to your liking and not have to settle or some design that someone else made. Good on ya :). Hi! Just discovered your blog here, after I found and printed your frame. Nice work! I have a not-so-calibrated solidoodle2, but it printed out (on PLA) and works great- it’s flexible enough to get everything in, and snug in the corners when the bolt is tightened up. Thanks! wanted to draw this in sketchup The Frame. I will design a differently. More compatible for my work. I would like to pass the measures that The Frame or gopro? ?